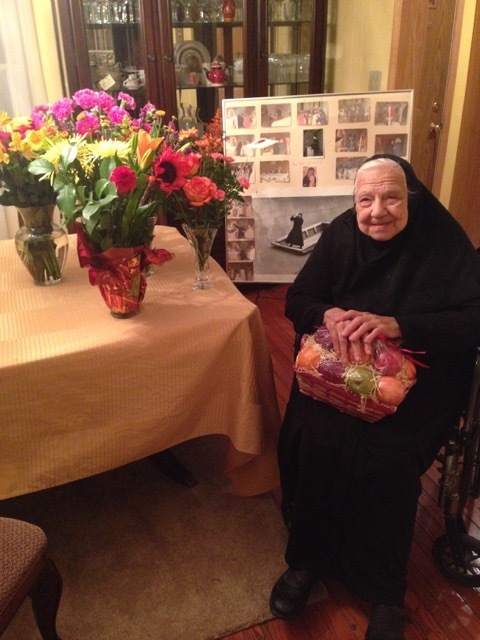 Richfield, OH - On December 12, 2015, on the feast of the Holy Martyrs Paramon, Philemon and the newly canonized St. Mardarije of Libertyville, Mother Ana (Radetic), Abbess of St. Archangel Gabriel Monastery, New Marcha, passed away in the Lord at the age of 94. Mother Ana was born January 12, 1922 of parents Milan and Ana Radetic in Lackawanna, New York. Her parents emigrated to America prior to World War I, the father from Sisak and her mother was from Bjelovar. Bringing with them from their homeland their love for their faith, the parents of Jovanka (Mother Ana’s name prior to her tonsure), Milan, Djordje, Vladimir and Aleksandar brought up from early age in the spirit of our holy faith. 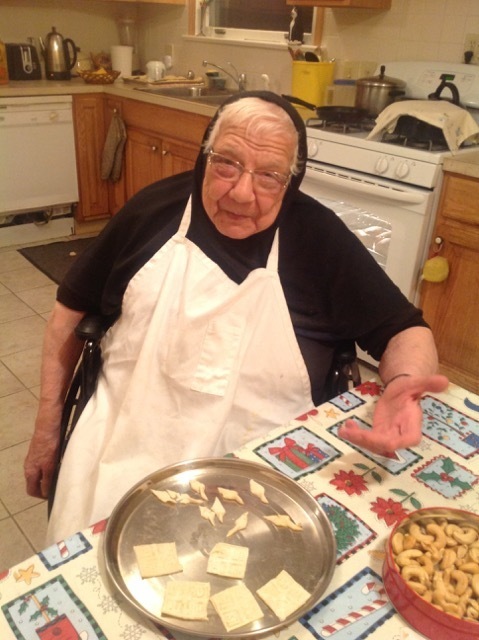 She listened to the sermons of St. Bishop Nikolai from her youth, as he would frequently serve at the church in Lackawanna, and were taught by his example. She regularly attended church services in her local parish and sang in the church choir. 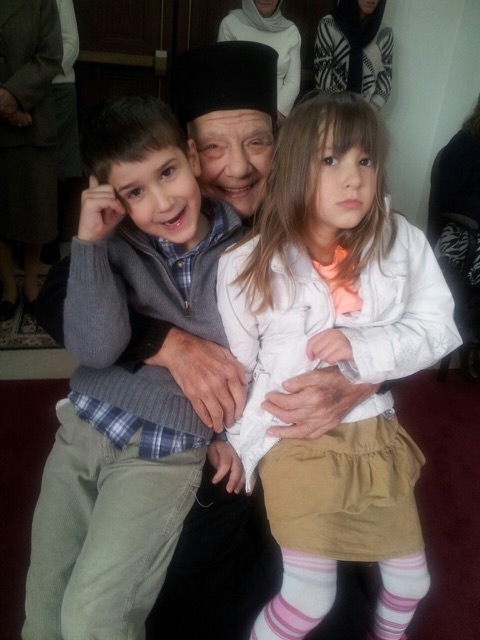 Bishop Sava Vukovic had a special place in her spiritual life since he gave her the blessing to embark upon the monastic path. He appointed Jovanka as a novice to the Nikolje Monastery (of Ovcar) where she familiarized herself with the monastic rules. 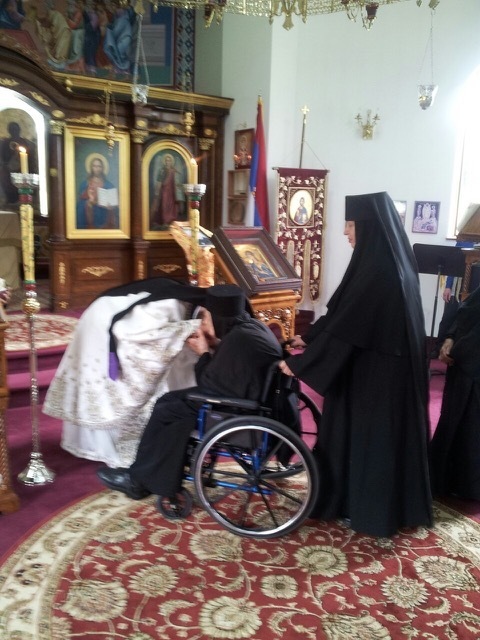 After a year at Monastery Nikolje she learned the monastic rule, to read church Slavonic, to chant and to speak Serbian. 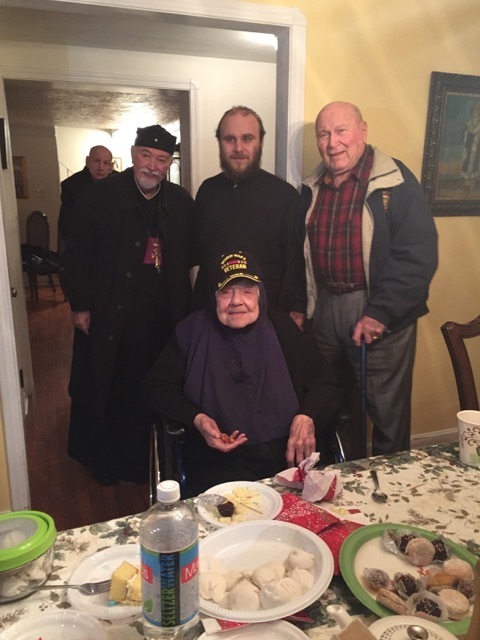 With the blessing of Bishop Sava and Bishop Vasilije Kostic of Zica, the “Sister America” (as Bishop Vasilije would affectionately call her) transferred to Monastery Vracevsnica. Under the vigilant eye of Mother Ana she grew in obedience and was more determined in her decision to receive the monastic tonsure and learned to write in Cyrillic. During this entire time the sisters in Nikolje and Vracevsnica prepared the novice Ana for her return to America and the start of her monastic life on this continent. Also included in her preparation were all the household duties which had not been done in that manner in America for at least fifty years, but which needed to be accepted by an American. Just as she had grown accustomed to the Serbian customs and way of life a letter arrived from Bishop Sava that sister Jovanka return to the Diocese of Eastern America where she would be tonsured. Since there was no women’s monastery in the diocese Bishop Sava tonsured the novice Jovanka at St. Stephen’s Church in Lackawanna on November 12, 1973, giving her the name Ana in honor of St. Ana the mother of the Most Holy Theotokos. The newly tonsured Sister Ana was given obedience at the diocesan residence in Richfield where she attended the daily church services with Bishop Sava and had household chores. After the diocesan center moved to the suburbs of Pittsburgh Sister Ana stayed in the newly established New Marcha Monastery (the former diocesan residence). 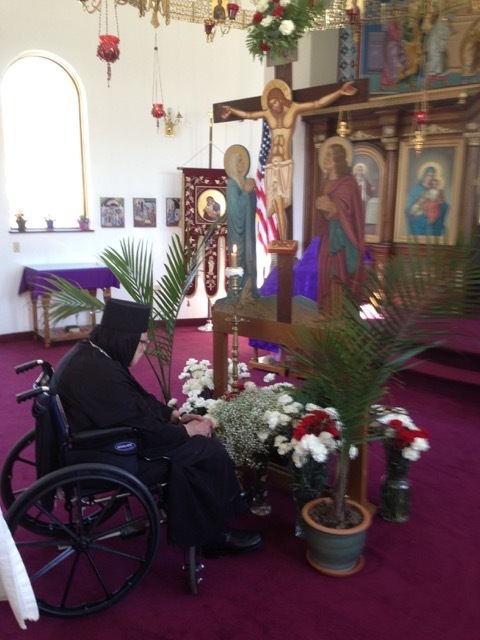 Soon she was joined by Mother Evpraksija Paunovic and a few other novices as well as Fr. Simeon Grozdanovich. Per the needs of the church Sister Ana was taken to the new diocesan residence where she completed the household chores. During this time a large number of young people from Pittsburgh (who never had the opportunity to see a monastery) came to listen to her talk about the monasteries in Serbia and life in the monasteries. Many of these people are monastics and clergy in both the Serbian Church and other jurisdictions. Per the needs of the church she also lived in Johnstown and Columbus. 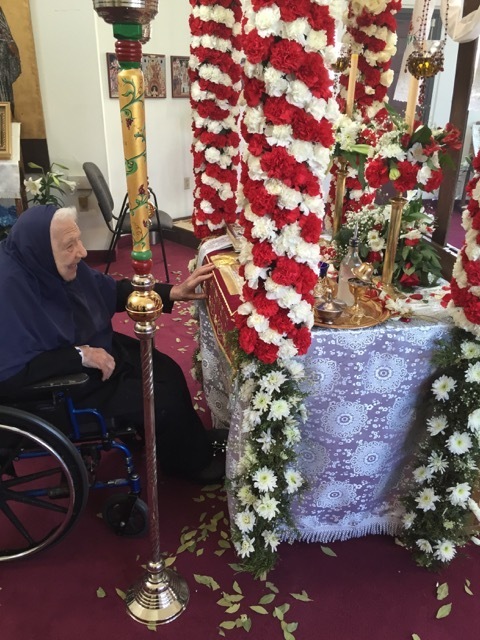 In Columbus she worked with Prota Mateja Matejich in organizing the St. Stephen of Dechani parish there. Per the needs of the church Sister Ana was sent back to the diocesan residence in Edgeworth. There she was one of the closest workers for Bishop Christophe Kovacevich of Eastern America, together with current Bishop Irinej (Dobrijevic) of the Metropolitanate of Australia and New Zealand. After being in Edgeworth for twelve years she went back to New Marcha Monastery. Under very difficult financial conditions she worked hard to improve life in the monastery. Besides daily church services she worked alone in maintaining the large monastery grounds. The Catholic nuns (whose monastery is across the street from New Marcha) helped her greatly, spending much time and energy helping with anything she needed. 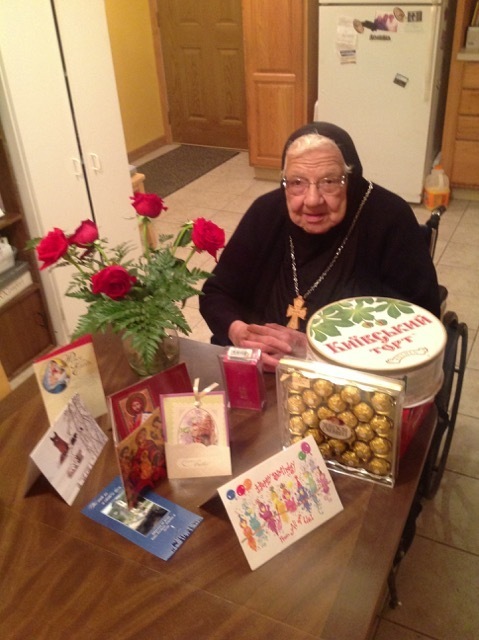 Abbess Alexandra of Transfiguration Monastery in Ellwood City had much love and cared much for Sister Ana. The 90s brought both spiritual and material blessings to the monastery. With the blessings and effort of Bishop Mitrophan and the work of the Sister Ana the monastery living quarters were covered and reconstructed. The brotherhood and sisterhood grew during that time, but they were also sent, per the needs of the church, to other places. As a result of her love for God and her monastic vows Sister Ana reported in the year 2000 that Gertrude Stanojevic donated $250,000 during the construction of the monastery church. 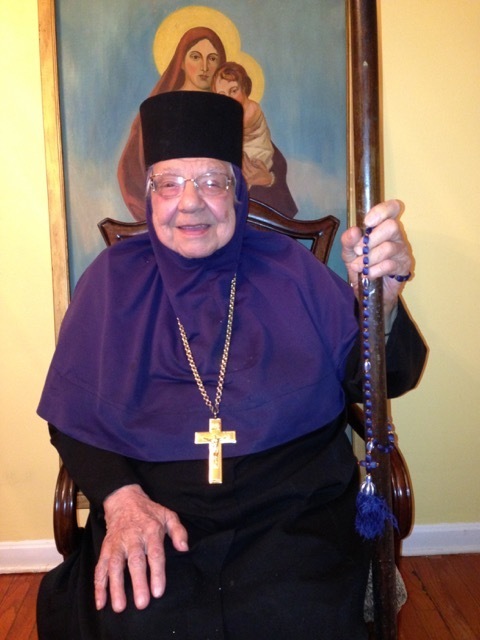 When Bishop Sava Vukovic, her spiritual father, heard the news he sent her a “hierarchical” prayer rope, while Bishop Mitrophan proclaimed her a great benefactor of New Marcha Monastery at the consecration of the monastery church in 2001. The Holy Synod of Bishops granted her the Order of St. Sava in the third degree in 2004. Mother Ana always shined with joy and optimism, thus we can freely refer to her as a daughter of light. 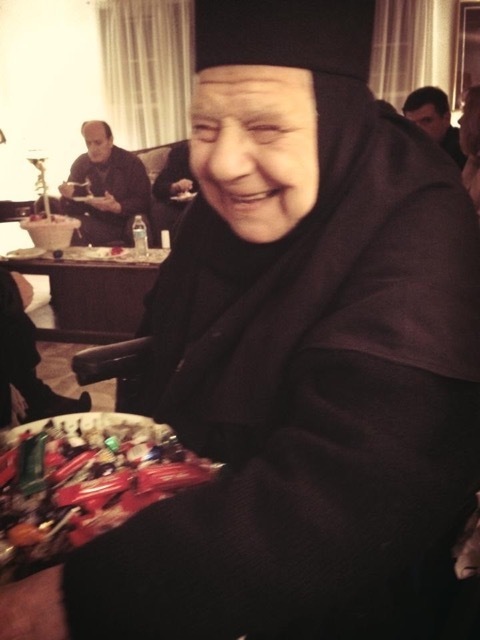 She gathered people around her until her last breath and preached, “God is good”. 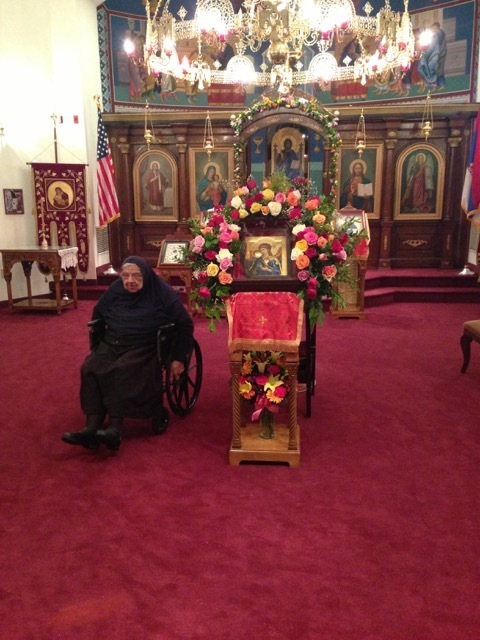 May Mother Ana’s memory be eternal. Remember us before the throne of God.